Free Direct Download Trivia Crack APK + Mod for android from revdl.com. From the creators of Aworded arrives Trivia Crack, the amazing quiz game that lets you test your knowledge and challenge your friends to see who is the smartest! 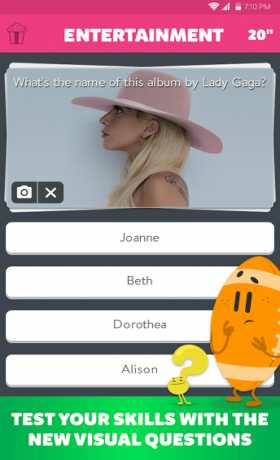 Trivia Crack is a trivia game with six different categories: geography, history, art & literature, science and technology, entertainment, and sports. You’ll have to collect the characters that correspond to each one of the categories. Spin the wheel and chance will decide which category you will have to answer. If the wheel stops at the special slot, you’ll be able to play for a character of your choice! But knowledge is not enough to win! 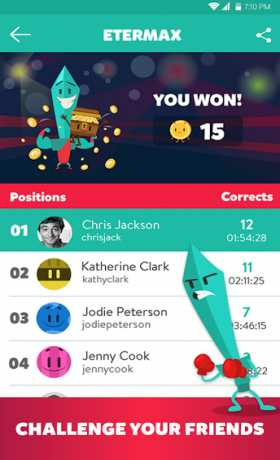 Trivia Crack is also a game of strategy: you can steal characters from your opponents if you challenge them on a duel! If the wheel stops at the the special slot, you’ll be able to choose between playing for a character or challenging your opponent so you can steal one of his. Additionally, Trivia Crack includes four Power-Ups that will help you get the correct answer to the most difficult questions. Trivia Crack has a bright, lively, sophisticated and intuitive interface, and you’ll enjoy incredible animations as you answer the questions! 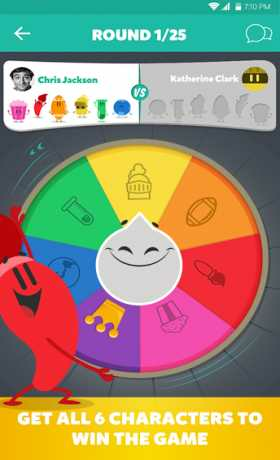 Trivia Crack is a fast, dynamic and addictive game. There are more than 90.000 questions that will be constantly updated and you can suggest your own! It’s available in Spanish for Spain and Latin America, and in English for the United States and United Kingdom. New languages coming soon! Thank you! I’m very happy with this. Thank you guys for the app.